We are open Monday - Friday from 7:30 am - 8:00 pm. However, not all services are offered at all times. Please click the service below for service days and times. Tricounty Radiology is a part a network of independent, outpatient, diagnostic testing facilities with two convenient locations in the tri-county area. Our West Ashley location is 1975-H Magwood Road. We are just blocks away from Roper St. Francis Hospital, making it easy to access us from I-26, I-526, Highway 17 and downtown Charleston. We offer MRI, CT, Ultrasound, and X-ray with extended morning and evening hours available. We are able to accommodate patients with our 1.5T High-Field Wide Bore MRI and our Low-field Open MRI. Our X-ray services are available for walk in hours with a physician’s order. 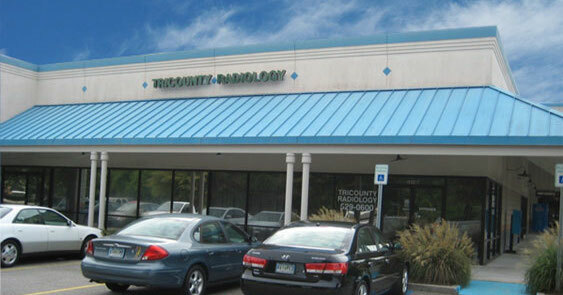 Tricounty Radiology is accredited by the American College of Radiology (ACR). Our radiologists are on-site, board certified and specialize in neuroradiology and musculoskeletal radiology. Our staff is able to pre certify your insurance and our technologists are available to answer any questions you may have regarding testing. We also offer online access to patient images as well as reports for our referring providers. Walk-ins are welcome between the hours of 8:00 am to 4:00 pm based on technologist availability. Appointments are preferred.